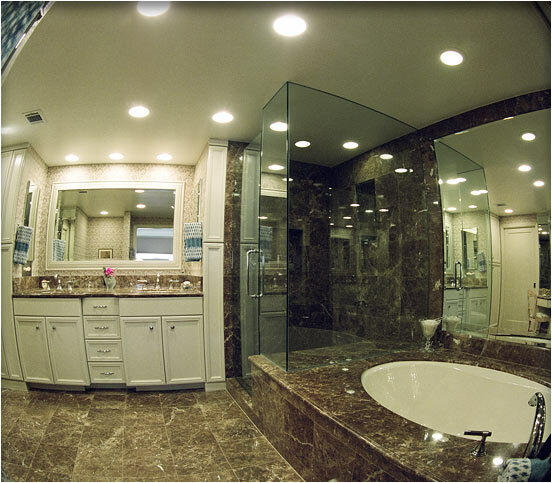 Smaller Project 3-2, Master Bath Remodel » Roger Perron Inc. This is the master bath remodel. The marble slab on the tub deck extends into the shower where it becomes a seat. The shower enclosure is frameless with the glass grooved into the ceiling and marble. The undermount 60″ x 42″ cast-iron tub is manufactured by Kohler.